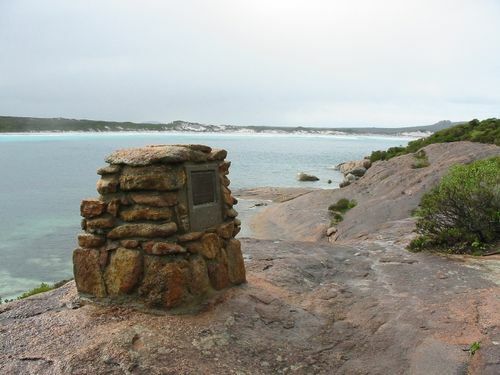 A monument commemorates the naming of Lucky Bay by Matthew Flinders in 1802. In January 1802, Matthew Flinders passed through the Recherche Archipelago and found himself surrounded by islands and reefs. With the light fading he made the decision to head for the mainland in the hopes of finding safe anchorage and this he did, naming the place Lucky Bay.